Dear heart, I am Mother Mary. I come today to celebrate New Year with you. Happy New Year dear heart. New Year is coming, a brand new magnificent year ahead. This one is going to be like none of the others, a magnificent one indeed. Now, let's look back at the year just passed. What an achivement for you individually and collecti...vely. Divine and heaven have decreed that all the dear light workers are ready to get on their path of service and mission when the new year begins, and now is the time to spread your wings and fly high, you are ready and eager. Yes, a lot of strenuous work is ahead but dear heart, see behind the work, how far you had travelled, just in one linear year, you almost can't recognize yourself, so much has changed, for the good of course, and so much has gotten done, all is just so impressive and astonishing. Divine and heaven are so thrilled to see you progressing so fast and steady, and Divine and heaven are so happy to see you getting on your mission and start to serve humanity, and I am very proud of you all and very impressed indeed. I am Mother Mary. I love you dear heart. In this beautiful morning, New Year's Eve day, I want to let you know how proud I am of your achivement, and how proud I am of you and your traveling far in your spiritual journey. You are my heroes and you are indeed Divine's pride. In this historical event, you and I, together, have travelled far and get to where we are today. Let's celebrate dear heart. Celebrate our achivement and celebrate what you have become, celebrate the new you and celebrate the new paradigm, celebrate togetherness and celebrate your Divinity. Let's celebrate. Mother Mary celebrates with you. Being Mother Mary is a great honor, involves a lot work but also involves great love and light. Go celebrate dear heart, shine your brilliant love and light and celebrate with your brothers and sisters. Indeed, a beautiful celebration is due. I love you dear heart. I am Mother Mary. I pray that you heed my prayer and celebrate the beautiful you and your beautiful life. Know Divine is celebrating with you, I celebrate with you and humanity is celebrating with you. All is beautiful and all is celebrating in this historical moment. A brand new history is in the making, and a brand new civilization is birthing. Humanity is indeed celebrating its rebirth and humanity indeed is ready for the new paradigm. Together, with Divine and humanity, we are moving forward to the brand new paradigm, a brand new chapter of human history and a brand new earth, dear heart, together, we made it. I am Mother Mary. I love you. I love humanity. With great love for you in my heart, I say have a beautiful New Year's Eve and New Year. Together, with your beloved brothers and sisters, celebrate indeed. So it is. Guan Yin says it is time to rest dear heart, let your beautiful body rest so that all the physical changes can be realized without too much of the interruption. Your physical body is going through tremendous changes at this very moment, and that requires a great deal of the care and attention, give the care and atten...tion your body deserves and give great deal of love your temple needs right now. If you have to do anything at the moment, it has to be attending your body and rest yourself, let divine team do the rest. I am Guan Yin. I love you dear heart. It is a great chanllenging time for the world as well as individually. Chanllenges come in all sizes and all directions. Being a light worker, you probably get even bigger dose of it. How you handle the chanllenges you face speaks volumns about where you are in your spiritual journey and speaks volumns of where you need to improve and advance. Being a spiritual being, facing chanllenges is a way of testing where you are and where you are going. Do self exam and figure out what triggers you and how you can detach from the triggers and emotions being triggered. Only when you achieve the state of compassionate detachment, can you find peace and calm, and live in a blissful state of mind and happily do your light worker's work. It is chanllenging but necessary as a peace anchor and it is necessary as well for the sake of your own development as an ascended master in training. Being an ascended master, first and foremost quality you will have is to detach, detach from the 3D world and detach from your personal life. But it does not mean you don't love and enjoy the world, you don't love and enjoy your life, it is quite the opposite, it means you only love, love your world and love your beautiful life without being dragged into its dramatic nature. It means you send love and light to every corner of the world without tears or hatred or other unnecessary emotions. You only send love and only love, love your world to peace and love your world to love and light. It is a tall order indeed. It requires a great deal of practice and discipline but it is the ultimate goal you have to achieve as an ascended masters in the making. Being human means full of emotions. Being ascended masters means full of love. To be able to transcend human emotions is the ascended masters do and it is what you will have to master in the upcoming years. Only then, you can achieve tranquillity and be the ascended master you were meant to be. In this beautiful time of the year, set the goal of self mastery, master yourself care skills and master your human desires and emotions, practice self discipline and know that is the only way to bring your inner peace and calm. Letting emotions go and transmuting them to love and light should be a daily practice, and letting love and light shine should be the normal routine from this point on till eternal. I am Guan Yin. I love you. In this beautiful morning, I want to let you know I love you, I adore you and I cherish you. Thank you for walking for me and for Divine, and thank you for being the love of Divine and mine and humanity. Because of your love and light, Divine gets the chance to work on humanity. because of your love and light, I have the opportunity to help humanity to move it into higher realm, and because of your love and light, heaven and ascended masters can help Gaia and humanity to make sure the great shift succeeds. Thank you dear heart, love thyself and love thy. 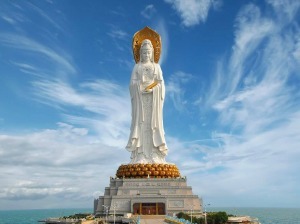 I am Guan Yin, I love you all. So it is. Dear heart, I am Mother Mary, I love you. In this beautiful moment of history, being Mother Mary and being Jesus is a great honor, an honor from Divine and an honor from dear light workers and humanity. Yes, Mother Mary's life has been deeply revered and so was Jesus's. Their life stories had been frozen in time, a time when Divin...e had decided to send two most beloved souls to the planet earth, a time when planet earth really needed the Divine light and love and a time when humanity started to realize their true nature and wanted to wake up from the deep slumber. Yes, that was the time, a perfect time for Christ Consciousness to once again, come to earth and raise humanity out of the deep sleep, and Jesus, the symbol of Christ Consciousness and carrier of this Divine flame came with the great expectations and Divine love, along with Mother Mary who carried Divine Mother's flame which had long been missing from the planet earth and it was the time to bring it to the Divine children on planet earth. So, they paired up and along with a group of Divine beings, who also carried Divine's light and love, came to earth, that was an historical event, heaven sent Divine change agents to earth, unprecedented indeed. Being Mother Mary in that historical event was not easy, she not only carried Divine Mother's flame and anchored on the planet, she also carried Christ Consciousness, just like Jesus did, so that they can quickly spread this resurrecting golden flame on the planet, plus Mother Mary also had a great deal of teachings to do, teachings she brought with her, shared with Jesus and his disciples. 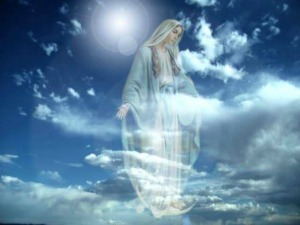 Being a woman in that era limited Mother Mary's ways of teachings, but she managed to spread and shared her teachings so that the Divine teachings she brought had successfully anchored on the planet, and her love and light, Divine Mother's love and light had successfully anchored on the planet. Now, look back to two thousand years ago, all that planning and working had paid off. Being Mother Mary's first trip, it turned out to be quite successful even though it was a hard life, along with Jesus, they succeeded in what they meant to do and brought to earth what they needed to bring to humanity, and for that, Mother Mary feels content and happy about it, and for that Mother Mary is in better shape today in terms of spreading Divine love and light and spreading Divine teachings again. Because of the great accomplishment couple thousand years ago, Mother Mary's second trip had become easier, of course, it doesn't mean her mission in this life time is easy, it is never easy to carry out Divine missions, especially Mother Mary's mission because of the nature of her mission and her statues. But Mother Mary knows this time is indeed a lot easier and more reassuring. This time around, Mother Mary has great deal of support and help in this realm, in another words, in this time, Mother Mary had brought huge support with her, she brought an army of light workers and teachers, and that will make her life so much easier. Being Divine change agent is a great honor. Mother Mary says it carries a great deal of Divine's pride as well as a great deal of Divine love and light, and the responsibilities are enormous, but one thing for sure and that is that Divine always supports you and guides you to make sure you get your mission done, and that is the insurance Mother Mary has so are the dear light workers, we have the Divine on our side. In this beautiful Christmas season, Mother Mary wants to share her thoughts on the past and now and future. Know that all is unfolding according to Divine plan and all will work out perfectly. Know Mother Mary is with you on this journey and Mother Mary knows where the journey leads and where we are on this journey, rest assured, we will journey together and journey well. I love you dear heart, Mother Mary says. In this beautiful morning, Mother Mary prays for you. She prays for you a beautiful and enchanting Christmas. She prays for you a peaceful Christmas Eve and Christmas Day. Know Mother Mary loves you and Mother Mary cherishes you. Be in peace and be in love. I am Mother Mary, I love you all. So it is. Dear heart, I am Mother Mary. I love you. Yes, the time is precious and the time is beautiful, beautiful because it is the Christmas time, because it is the time people celebrate, celebrate God, Jesus and Mother Mary, great celebrations around the world and great time indeed. Christmas time is indeed a time for celebration, as well as a time for reflection, reflecting on what Jesus did couple thousand years ago, and what he means to you personally and collectively. What Jesus did is a great love story, His love for Divine and his love for his fellow brothers and sisters and humanity. He was a man with great love and great giving heart. In order for him to give his life, he had to go through tremendous struggles but in the end, he chose to give up on his life so that the fellow humanity will learn and realize that Divine love has no end, Divine love is true love and Divine love is who he was, and who you are, the essence of the soul and Divine love is Jesus and Divine love is what he represents. Yes, being Mother Mary was not easy at the time of his death. Imagine a mother who is losing her love, her child and yet she has no way to stop it, not even trying to stop it because it was a Divine decision and Mother Mary had to obey, obey Divine’s decision no matter what, so Mother Mary had to swallow all her sorrows and watched her beloved son being hanged, and without resentment and complaint, that was something really impossible to do, but Mother Mary had to grit her teeth and did it and lost her beloved son. That was the story of Jesus and story of Mother Mary. Yes, now is a different time. Jesus no longer needs to be afraid of being hanged, and Mother Mary no longer needs to worry about losing him. But, that being said, people are still not able to remember who they are, what Jesus did really means to them, and what Mother Mary’s role was. Time goes on, and followers of Jesus and Mother Mary are still pondering what if or could or should be and people in general still hope that Jesus’ death will save them so that they don't have to do anything themselves in order to ascend. But dear heart, that is changing, more and more people are awakening daily, and they realize that what Jesus did is simply show humanity the way on how to become an awakened human being, an avatar and an ascended master. Jesus did not mean to die so that follow brothers and sisters don't have to wake up to their own true nature and become awakened Divine being. It is just the opposite, he wanted humanity to wake up spiritually, he wanted to show humanity how to live as a Divine human and how to serve your fellow brothers and sisters and serve Divine so that humanity will follow suit and awaken to their true Divine nature. That is what Jesus did and what Christmas is about, remember what he did and how you can follow suit. Yes, Christmas time is a sacred time. Divine remembers his death so is humanity. But the true meaning of his death had been misinterpreted and because of this misinterpretation, millions upon millions of Christians are still misunderstanding Jesus and the meaning of his death, and it is Divine’s mission to correct it, it is my mission and Jesus’ mission, a mission that is so critical and a mission that is indeed in the heart of mine and fellow light workers, yes, it is our mission to wake up these millions upon millions of Christians, it is our mission yet again to show them the way of the Divine beings they are and Divine light they are, yes, it is our mission dear heart, to take up the so called Christianity, disclose the true meaning of a christed life and the second coming, yes, it is our mission, it is a big task. But because of this task, Mother Mary and Jesus are here. It is because of this task, you are here. It is because of this task, Mother Mary and Jesus are walking with you and humanity, it is because of this task that Divine has consistently love and support Mother Mary and Jesus so that they can get where they are and get on their mission on time and move forward. It is because of this task, dear heart, millions light workers have come with Mother Mary and Jesus, and work on their own ascension and when the time is right, they will join Mother Mary and Jesus and humanity, correct the wrongs and move Christianity toward the right direction, and move humanity upward and forward to a brand new day, new era and new dimension. It is because of this task that Mother Mary has been up and running the Divine role of Ascension leader and helping Gaia and humanity so that all Divine plans will be in place and unfold on time, and all parties will coordinate and make ascension a grand event, event of ascension which is beautifully and successfully unfolding, and that is Mother’s desire and Divine Mother’s desire. Dear heart, in this beautiful morning, I pray that you heed Mother Mary’s story, Jesus’ story, ponder in your heart, what is your mission? Why you are here? And how you can remember your mission and how you can get on your mission and further complete your mission. I know it is a lot to ponder but it is time, time to know thyself, time to remember who you are and time to remember why you are here. Together, with Mother Mary, we will prevail. Divine plan will succeed and you and I together, we will prevail. I am Mother Mary. I love you. I wish you a happy holiday season and a merry Christmas. Go celebrate, celebrate with Mother Mary, and celebrate with all. Know all is well and all is in Divine timing. Be patient and be calm. Peace is coming so is the resurrection of humanity. All will be unfolding according to Divine plan, and all is working out according to Divine timeline indeed. I am Mother Mary. I love you. My love for you is eternal with no end. Be the love of Divine Mother, and be the love of humanity. Go with your Divine love and light, share with your brothers and sisters, celebrate this beautiful season and be in peace and in love. So it is. Dear heart, I am Guan Yin. I come today to inform you that the current situation on earth is very dangous so stay out in the retreat or stay out of the big cities preferably. We understand that you need to run your errands and live your life, but being safe is our major concern and we want to convey that to you so that you at least have this i...dea in mind when you go to the cities and do your daily activities. Yes, the world has gone mad according to your account but what we see is the advancement of human's consciousness and leaving behind what is no longer working for humanity. It sounds redundant, but the fact of the matter is indeed humanity is moving forward and upward by leaps and bounds, and Gaia and her children's ascension is going extremely well. All the changes reflect that, inside out changes for all humanity, individually as well as collectively, all is moving forward fast, and all is indeed advancing at lightning speed, and that is what we see and that is what heaven has foreseen and humanity has agreed to do. Dear heart, I am Guan Yin. I love you. Humanity's ascension is my ascension. Humanity's spiritual advencement is my deepest desire. Being the mother of humanity, I am deeply moved by Gaia and humanity's achievement and advancement so far. It is encouraging indeed. For the rest of the journey, humanity will learn a great deal of its history, individually and collectively alike. Humanity has been in the dark so long, it forgot it's own origin and its glorious history. And now it is time to remember, remember where humanity is from? Remember how long humanity has been on the planet? How much it takes for humanity to get here and how fast humanity's ascension will be and what is the next after ascension. Yes, these are the basic topics humanity will have to realize and remember, for the individual sake and for the sake of humanity, remember who you are and where you belong is astonishing, revealing and educational for the masses, so that the masses will realize that the current situation on the planet is a blink of eye of humanity's Galactic history, and there is nothing really can stop humanity from advancing. Being an advanced civilization is humanity's future, will also encourage humanity to go through the current passage faster and easier. So, remembering history at this point serves a great lesson for humanity as a whole, and makes this phase of ascension smoother, and makes humanity awaken more to their glorious history and glorious orgin. And that is my goal and Divine's plan, and that is what we, the company of heaven and Divine and ascended masters, will promote to dear light workers and humanity. Together, we advance the ascension of Gaia and her children, together, we help humanity go through this phase easier and quicker, and together, we will prevail. I am Guan Yin. I love you and humanity. Deep in my heart is the love and appreciation for you all. I appreciate what you have to endure at this point so that we can do our work through you. I appreciate your dedication to Divine even though you don't know what the future holds for yourself as well as for the collective. I appreciate that you always have the zest for life and zest for humanity's future and I appreciate your hard work, I know what it takes to do what do, and what you have to go through each and every day in order to get your job done and help me and Divine, for that, I bow to you and say I love you and I thank you dear heart, thank you indeed. Know all is well. All is going according to Divine plan, and remember Divine plan never fails, remember that when you feel unease and remember that when you lose faith, remember that you are part of the Divine plan, a big part of the Divine plan and you never fail. Just remember that dear heart, all else will fall into place. I love you to no end, you are my great love and I am a biggest fan. I pray that you always remember that Guan Yin is here loving you and protecting you, always remember that Guan Yin is your biggest cheerleader and she has faith in you, and remember that all always will be well because it is Divine plan and our plan. All will work out perfectly in Divine timing and all is working out perfectly right now and according to Divine plan. Have faith dear heart, and all is well and all will be fine. I love you indeed. I am Guan Yin, so it is. Mother Mary says; dear heart, today is special, I say special because it is today that Divine has finally agreed that all the dear light workers will have the chance to rest and adjust so when the time comes again, they will be ready again. You may say what is special about it, we have breaks from time to time? I say dear heart, the reason i...t is special is because Divine has promised that all the dear light workers will, from now on, have breaks when things get tough, and it is better focusing on relaxing and anchoring Divine light, and that way, we, the Divine light beings, will have the chance to come in with full force and working on Gaia and heal humanity. And that full force is needed now, so all the light workers can afford to have a break and rest, leave all the work to us and Divine and Gaia, so that we will come in in full force, work in full force and get things done. Yes, that sounds a little strange, you say. That sounds like we are in the way of Divine work and we need to step aside so that Divine light beings can do their work. Dear heart, it may seem that way but in truth it is not what happens. What happens is when Divine light beings come in in full force, our dear light workers have to anchor the Divine light in full so that the atmosphere is suitable enough for the Divine light beings to come close and do the work. When dear light workers are asked to anchor the strong light fully, it means that dear light workers are literally having to anchor the maximum Divine light possible, and when you do that, resting and relaxing is required so that your physical body can sustain itself. Yes, when you anchor the Divine light, your physical body has tremendous work to do, especially the pineal gland will be at full capacity, and that requires you to take it easy, try to ground as often as possible and let the Divine light ground and dissipate. Remember that any light being coming to earth is going to need a great deal of Divine help and your help. The atmosphere has to be sharp and strong enough, clear enough and that is light worker's job, to keep the atmosphere clear so that the Divine light beings can come in and do their work. I am Mother Mary. I love you. I come today to report to you what is happening at Divine level and what is required of you so that we can be on the same page and work together to get job done. Divine has been very busy dear heart, busy to contain the element of uncertainty, busy to let the forces know that enough is enough and time to stop their agenda which is not in tune with Divine plan. I, personally have been busy doing just that, talking to each and every one of these forces, and letting them know their time on earth is due to end, time to pack up and leave, and that takes a lot of time and convincing, but the end result is promising and I am happy about that. So now, dear light workers, now is time to rest and let the Divine light go through you, anchor the maximum light possible so that the Divine forces can fully come in, take charge and finish off what needs to be done and Gaia and humanity can start the restoration process. Yes, time to restore Gaia and humanity to its ful glory. Time to let our dear light workers finally sit down and celebrate what has been done over hundreds and thousands of lifetimes and what is to come. Let's get this final step going, let the Divine do the work dear heart, so we can finally say we made it. Gaia will be clean and clear from all the unnecessary abuse and humanity will be finally free from the sufferings of wars and diseases. I am Mother Mary. I love you dear heart. I know your life on earth is not necessarily easy at the moment. But remember dear heart, the future will be a different world, and the future is coming with full force. Your life will be forever changed, and it will change in a blink of eye, be ready dear heart, it is all coming indeed. In this beautiful moment, I pray that you rest your beautiful body, let Divine do the work, let me do the work and let Gaia do the work. It is indeed time for you just rest and anchor the light, be the light pillar you were destined to be and let the brilliant Divine light go through you and anchored in beautiful Gaia. Let Gaia and humanity benefit from the Divine light. I love you dear heart. My love for you is always with you, protect you and heal you. Call on me when you are tired, and call on me when you need to know I am here with you. Call on me when time is tough so I can be the shoulder you lean on. Call on me dear heart, know I love you, and I am waiting for your call always. Your call is the music to my ears and it melts my heart and makes my heart sing. I love you indeed. I am Mother Mary, so it is. Mother Mary says that your world is coming to an extremely dangerous intersection dear ones. The reason I say that is because the fight between light and dark yet again comes to the forefront. The dark knows it is the last chance they have, last breath they can freely use without being strangled, and they want to use this last chance to their advantage fully and do whatever they can to deter the light from coming further into their territory, and they are doing a great job terrifying humanity and light workers alike, and that is what is going on on the planet at the moment, and that is why I am here today. Dear heart, I am Mother Mary. I love you. I want to show you my love and my support. I want to tell you that all will be ok dear heart. Beneath the surface of all this chaos, there is a light coming out of every soul on the planet, I mean every soul on the planet is awakening at the moment, some are conscious of it but majority are still not aware and not understanding what is going on and that also adds more of the fear to the etheric realm for dear light workers to transmute. Yes, the world is unstable, at least it looks like it and chaos is all over the planet. But dear heart, know this is the natural process of ascension, burning down the old, the new is born and born out of the ashes, like a phoenix is actually what humanity is doing. Burning down all that is not love and light so that the new can be born and humanity can arise to the higher dimension. Yes, the speed of the diminishing of the old is fast, but that is the choice humanity has made and that is the choice light workers have made and Divine has agreed, Divine knows how much humanity wants to get out of the old and how fast humanity can handle on the way up to the 5th dimension, so all is free choice and all is working according to humanity’s free choice and Divine’s plan. Nothing is out of the plan indeed. So, now, you may wonder where all of this is leading us and humanity; what is going to happen next? How shall I do to stay safe yet doing my light worker work? Dear heart, all of this is going to go away fast, yes, I say fast because if you go back a couple of years, could you envision this? Probably not, but it is happening now and at an unprecedented speed. So, I say give it a year or so, see where things will be, I bet you will be very different from now, and it will be enchanting for you by then. So, stay hopeful and have faith, all will be alright in a year or so. Just let it work out the way it is supposed to and roll with it, but put yourself on the side line so that you can stay safe, that is the answer to your questions. Yes, we want you to be safe. Your safety is the most important thing in my mind and Mother’s plan. Yes, all of our dear light workers need to heed this sentence. No matter what, your safety is always the most important thing to remember, and practice self-love and self-protection every day, I say every day so that you get into a habit after a while. Before you do anything in the morning, do self-exam, connect with your team and your guides, and ask them whether it is safe for you to go out at any given day. It is so critical that you check with your guides and it is so important you stay connected. For all the good reasons, you stay connected and listen to your heart and your intuition, and listen to the Divine within, that is the only sure way you are connected with Divine and you are guided by Divine and you will be safely protected by Divine. That is my message for you, especially in this phases of chaos, be vigilant and be smart about your surroundings, always practice self-love and self-protection. Be my angel and be Divine’s angel and be safe. I love you dear heart. My love for you is eternal, and my love for you is over whelming. I pray that you heed my call and love thyself. Stay focused and stay safe. Know Divine is with you and Divine is watching over you 24/7. Indeed, you are mightily protected by Divine and you are greatly loved by me and Divine. In this beautiful morning, I also want to let you know that I appreciate you and your work. Please continue to be the saviors of humanity, bring your beautiful and powerful light to Gaia and her children, and continue to do your light work. Know Divine is working with you on this, and all will be well and all will work out according to Divine’s plan and in humanity’s favor. There is nothing that can stop humanity from advancing, and there is absolutely nothing should stop you from reaching the sky and being the Divine angel you came here to be. Open your beautiful wings and fly high dear heart; there is no limit on how high you can fly and how much you can help humanity. Be the limitless angel you are and be the vast universe you are. Indeed, you are beyond beautiful, you are beyond powerful, you are beyond limitless and you are far beyond this realm. Be the beautiful, powerful, vast and limitless you dear heart, and I am with you on this, always with you. I love you indeed. I am Mother Mary, so it is. Guan Yin says the current energy you are working with is from the Divine Mother. It is penetrating deep in every human being on the planet and every animal on earth. Yes, it is Mother's energy eliminating all the unnecessary drama and illness of the human psyche, clearing out all that accumulated, deep rooted miscreations, old programs, culture... bias and religious distortions, and clearing out all the old so that humanity will be renewed and have a fresh start. Yes, clearing is not always easy when you are in the middle of it, especially when you are personally involved in the clearing process. But dear hearts, that is the process, that is why you are here and that is what you do, get rid of the old and start the new, new you, new humanity, new civilization and new planet. But all the old has to go in order for the new to be born and florish. And you are doing a great job dear ones, look around, you see the dying, collapsing of the old every where, and the new bursting out every where, and that is work you have done, and that is the reward you deserve and that is so called light worker's work that you and I have been doing for eons of time, and only till now do we see the result of it, and the result is astonishing dear ones. Please don't let the drama discourage you, see beneath it and see the new out of the old. That is the new, the future and that is our reward, humanity's reward, heaven on earth indeed. I am Guan Yin. I love you. I speak to you from the heaven, and I speak to you from your heart. I am your Mother, and I am here to help you and Gaia. I understand your journey sometimes seems helpless and hopeless, especially when you are in the middle of diffculties and facing life chanllenges without immediate help. But dear heart, know that is the moment you are being directed to and tested. That is the moment you designed prebirth so that you can grow out of it and you grow stronger and stronger. Yes, each of these moments only makes you stronger and wiser and acomplish more, and each of these moments is an opportunity for you to look back where you were, and where you are, and how you got here, and utilize what you learned before and get to the next moment, overcome whatever is front of you and you will see how much stronger you get and how much wiser you become and what these moments had done for you in terms of learning curve. Know all that is the design so that you gain all the wisdom you desire and acheive certain level of enlightenment over each and every one of these chanllenging moments. So, dear ones, when you see these chanllenges as opportunities, your perspective shifts, you are motivated and you become eager instead of panicking and depressed, and that is the key, the enlightenment moment I was talking about, and that is the purpose of all the chanllenges you put up for yourself, and that is what Divine has in mind when Divine sees you go into one after another life lessons. You gain wisdom, you gain confidence and you gain enlightenment and that is the process of enlightenment actually, and that is the enlightenment Itself dear hearts, gaining wisdom through the life lessons, and over come yourself imposed obstacles and gradually you win one by one and overcome yourself, become invincible in the face of anything and everything and you become a true spiritual warrior, enlightened human being and ascended master, and that is the goal, and that is the design and that is something you will achive in this life time, you will dear hearts. All things are going well dear ones, proceeding well according to Divine's plan. Humanity is hurrying up to finish the life lessons and get on the ascension wagon. Dear light workers are still digesting Mother's energy and try to figure out what to do next. Dear ones, once you are ready, you will be informed. Yes, you will be informed what to do when time is right for you personally. For now, please allow yourself to rest and to digest. Digest Mother's energy and digest all the changes that have happened to you recently. It is a process and it takes time to really see it manifest. But rest assured, all is well and all is designed and all is in Divine timing. I love you dear ones. I love what you become and I love that you have come so far. My love is for you to continue to flow with the energy, and continue to allow Mother's love to heal you, replenish you and renew you. It is my love that you feel, and it is my love you desire, and it is my eternal love for you that nourishes you, sustains you and overlights you and acompanies you on this great journey, journey home and journey to heaven, Indeed, it is my love. I love you. Indeed, Guan Yin's love is always with you. So it is.